Horizontal dual-beam design for superior heat flow and weight measurements. Dual-sample TGA mode for double the productivity of competitive systems. Ultra-low drift balance design for unrivaled performance in baseline flatness, sensitivity, and resolution. 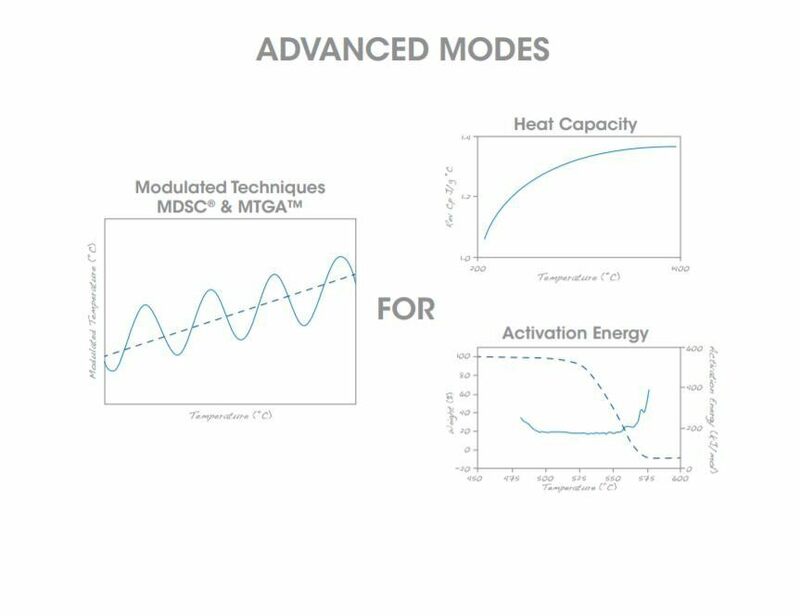 Modulated DSC®,(MDSC®), for the best determination of heat capacity. 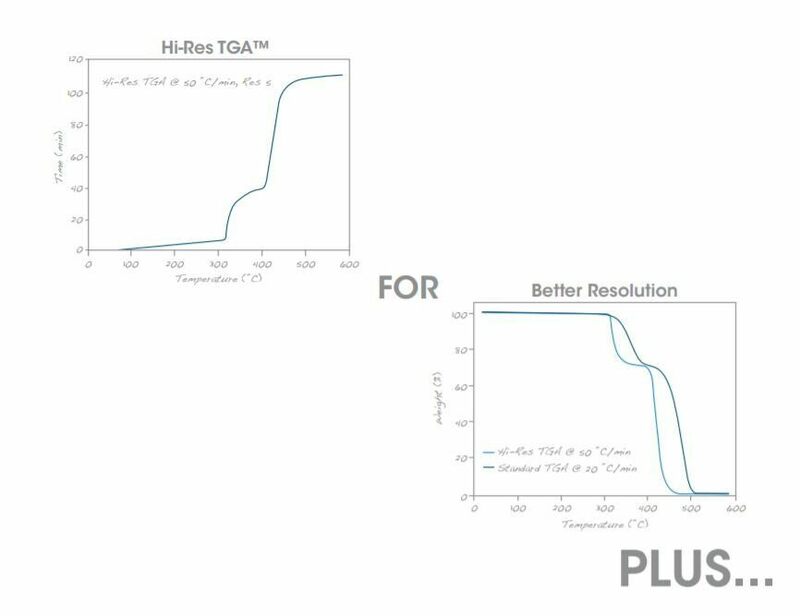 Hi-Res™ TGA for the best separation of overlapping weight losses. Modulated TGA™,(MTGA™), for increased productivity for studying kinetics. 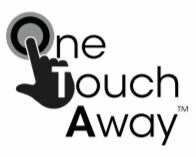 New innovative “app-style” touch screen puts instruments functionality simply One-Touch-Away™, enhancing usability and making it easier than ever to get great data. Commitment to quality backed by the industries ONLY five-year furnace warranty for peace of mind. 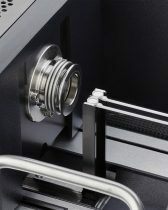 At the core of every new Discovery SDT is the exclusive TA horizontal dual-beam thermobalance. The integrated thermocouple design within the ceramic beams provides direct sample, reference and differential temperature measurements. 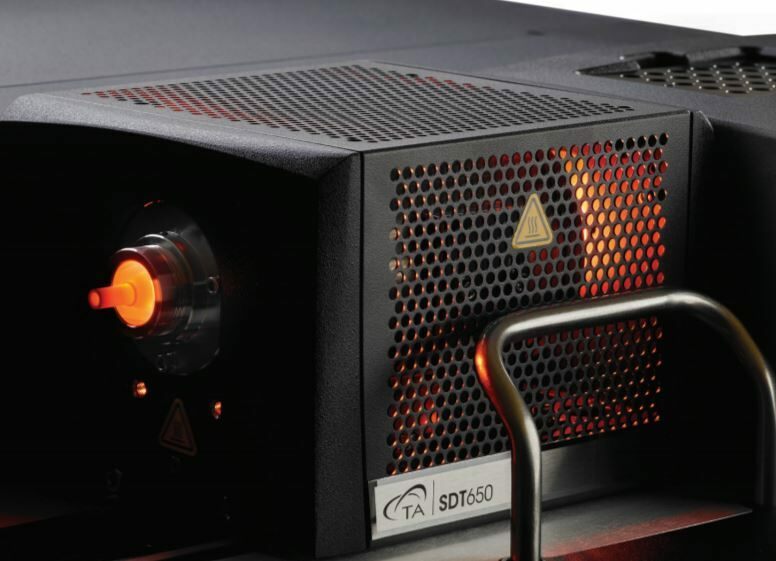 This ensures superior DSC and TGA performance and unlike competitive designs, the SDT 650 gives this performance without requiring baseline subtractions and other post-test manipulation. The result is an innovative new SDT with unrivaled performance in weight drift, sensitivity and simultaneous DSC AND TGA measurements. 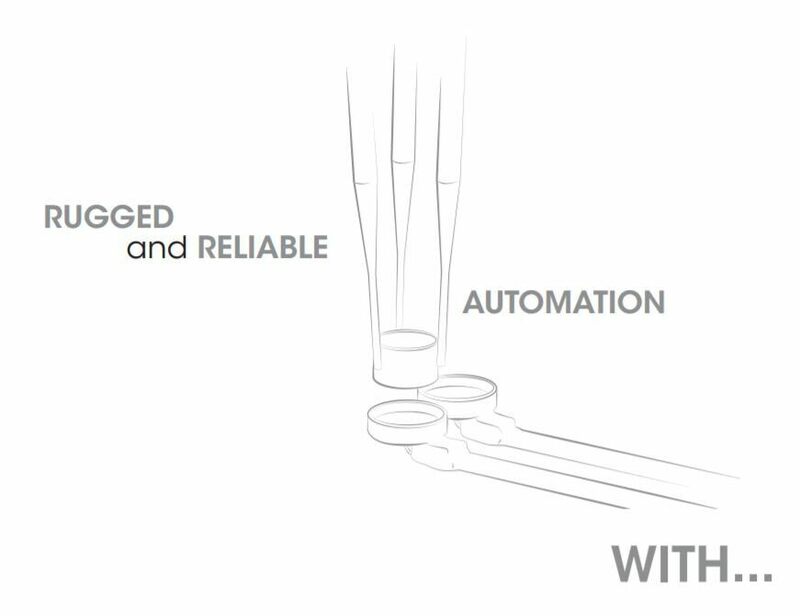 Simultaneous TGA/TGA – Our unique dual-sample mode permits independent TGA measurement simultaneously for double the productivity of any other TGA. 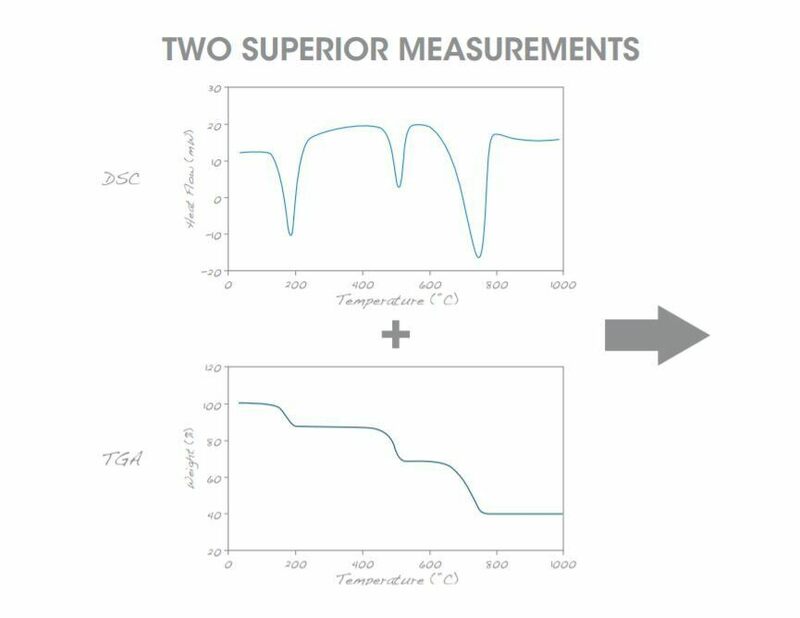 Dual-beam design makes heat flow measurements intrinsically superior to that of single-beam designs. 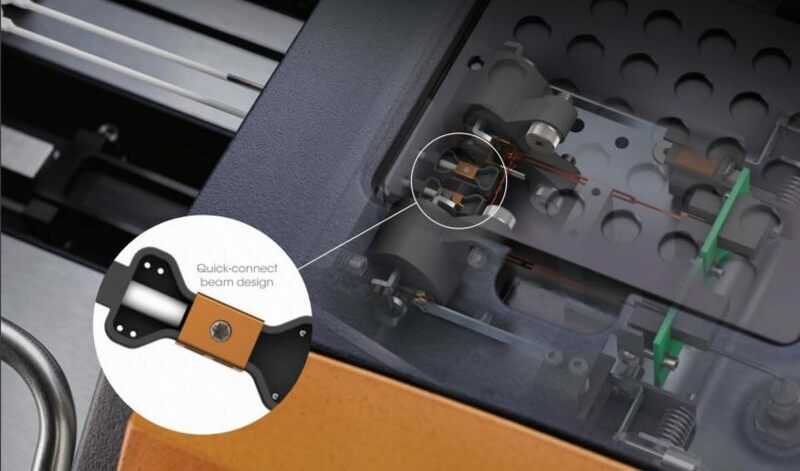 Quick-connect beam design with integrated pop-up beam support makes changing beams as simple as turning a screw, ensuring maximum productivity and ease of use. Every furnace on Every system is designed and manufactured by TA specifically for high performance DSC AND TGA measurements. This durable horizontal furnace offers better temperature uniformity than competitive systems. Ambient to 1500°C with a wide range of heating rates for maximum flexibility in experimental design. 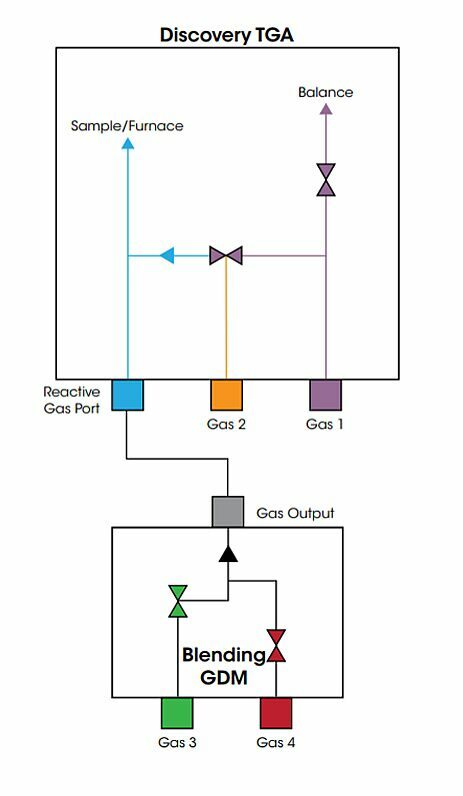 Horizontal design for excellent evolved gas results without chimney effects of competitive systems. Cooling from 1500 °C to 100 °C in under 40 min for quick sample turnaround. 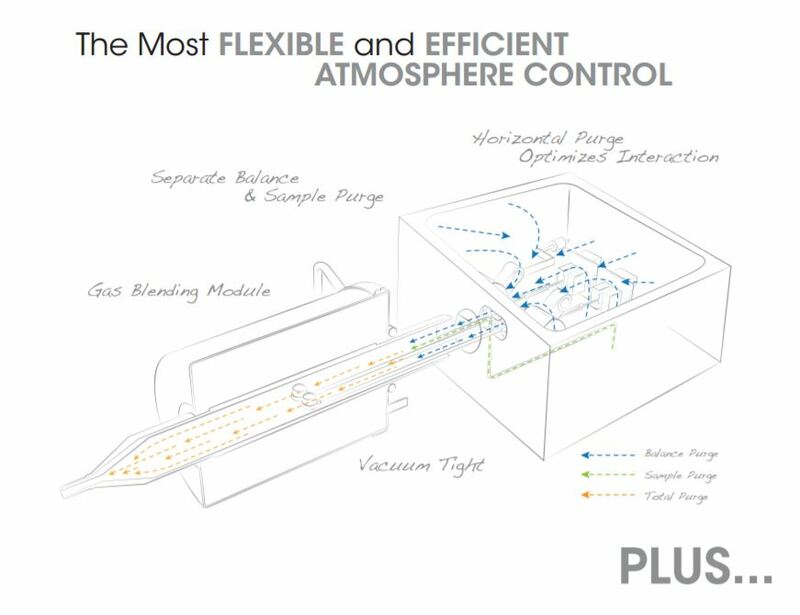 Discovery SDT’s are designed with superior atmosphere control to meet the most demanding applications. 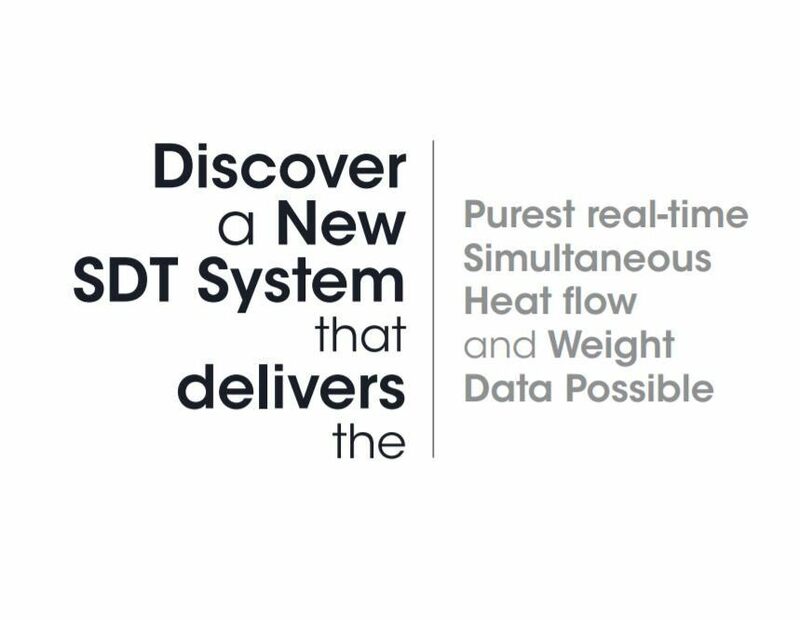 Whether maintaining an inert atmosphere, switching to an oxidative purge, or maintaining a high vacuum the Discovery SDT is up to the task. 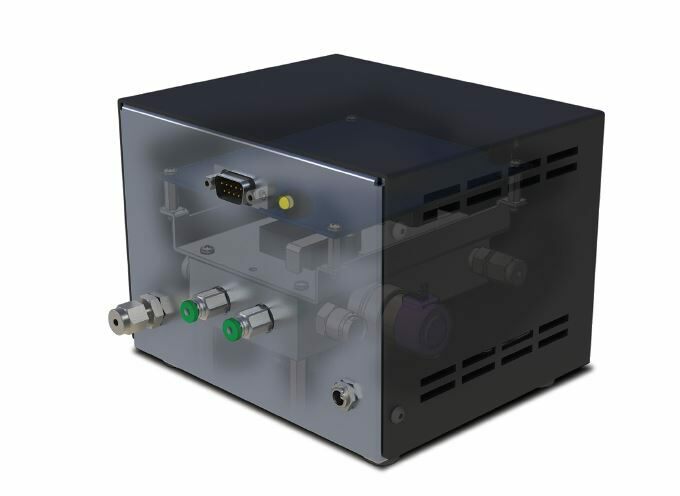 Innovative Gas-Delivery manifold design minimizes potential leak points from tubing and hardware connections ensuring the most consistent, repeatable atmosphere. 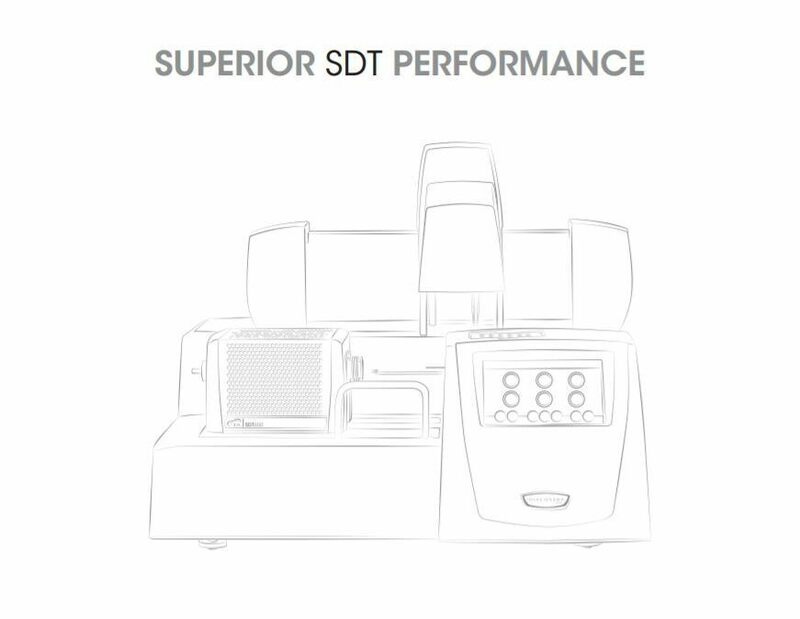 The NEW Discovery SDT features our 30-position autosampler to optimize productivity. Based on our proven Discovery DSC design these rugged autosamplers are cycled extensively in our factory to ensure worry-free operation. Scheduled and unattended experiments, calibrations and verifications give scientists more time for research. Innovative dual-sample mode doubles throughput over any other TGA. New TRIOS software makes it easier than ever to manage and run a large and diverse sample queue. The Design view and Running queue allow for quick and efficient autosampler programming. 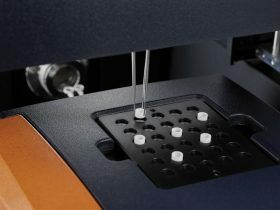 For optimum flexibility, sample and reference pans may be assigned to any combination of the available 30 positions. ITS NEVER BEEN EASIER TO GET GREAT DATA! In TA Modulated DSC, a sinusoidal temperature oscillation is overlaid on the traditional linear ramp. 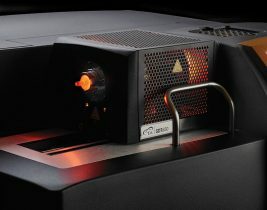 The net effect of this on a DSC/TGA instrument is that Heat Capacity (Cp) can be measured directly in a single run. TA invented MDSC and understands it like no other company. Modulated DSC is standard on EVERY Discovery SDT model. Direct measurement of heat capacity in a single run. 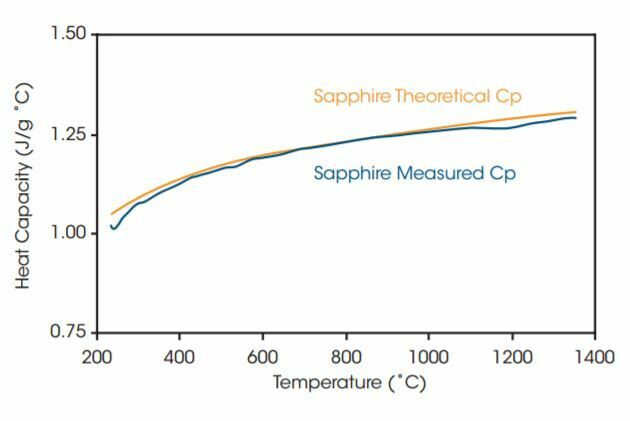 Most accurate and repeatable measurement of Cp up to 1500 °C. Can measure changes in Cp isothermally to look at structure changes vs time. 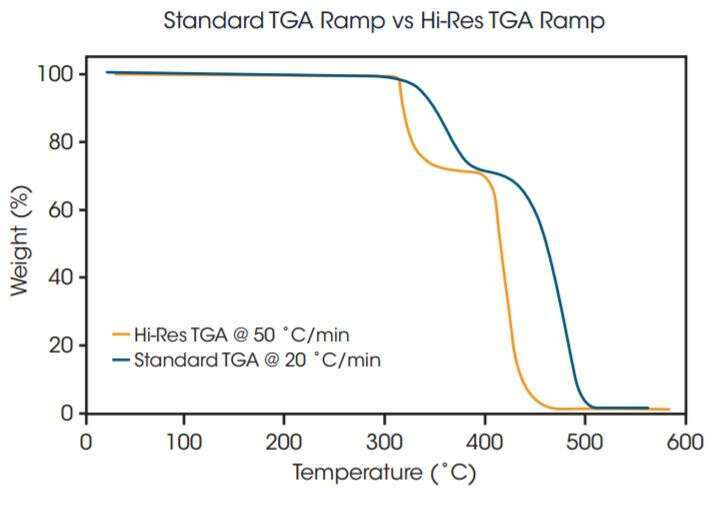 In Hi-Res TGA the heating rate is controlled by the decomposition rate of the sample. 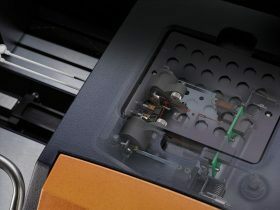 The Discovery SDT 650 design is ideal for these measurements with a furnace designed for precise temperature control, and sensitive thermobalances designed to quickly detect small weight changes. Separation of broad and overlapping weight losses. Increased productivity with better resolution. Rapid survey over wide temperature range with excellent resolution. 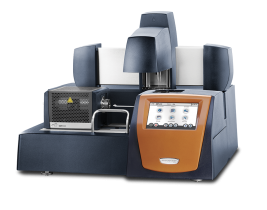 TA’s patented MTGA™ is another TA Instruments innovation that offers advantages for material decomposition studies. 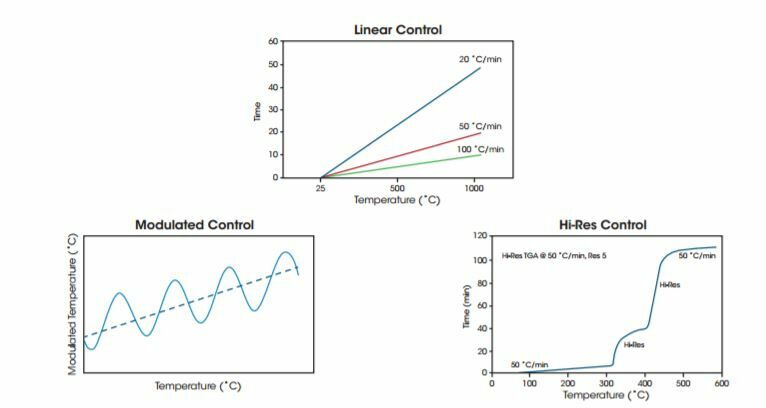 Developed from the proprietary heater control technology utilized by Hi-Res TGA and MDSC, MTGA produces model-free kinetic data. 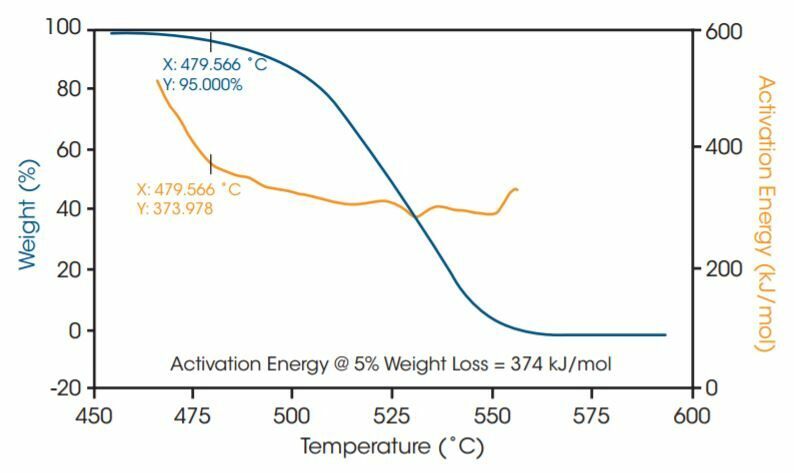 Activation energy can be calculated real-time and studied as a function of time, temperature, and conversion. Increased productivity for studying kinetics. Can be combined with Hi-Res for better separation of overlapping weight losses. Direct measurement of activation energy. Evolved gas analysis involves the qualitative investigation of the evolved gas products from an SDT or TGA experiment. These products are generally the result of decomposition, but can also evolve from desorption, evaporation or chemical reactions. 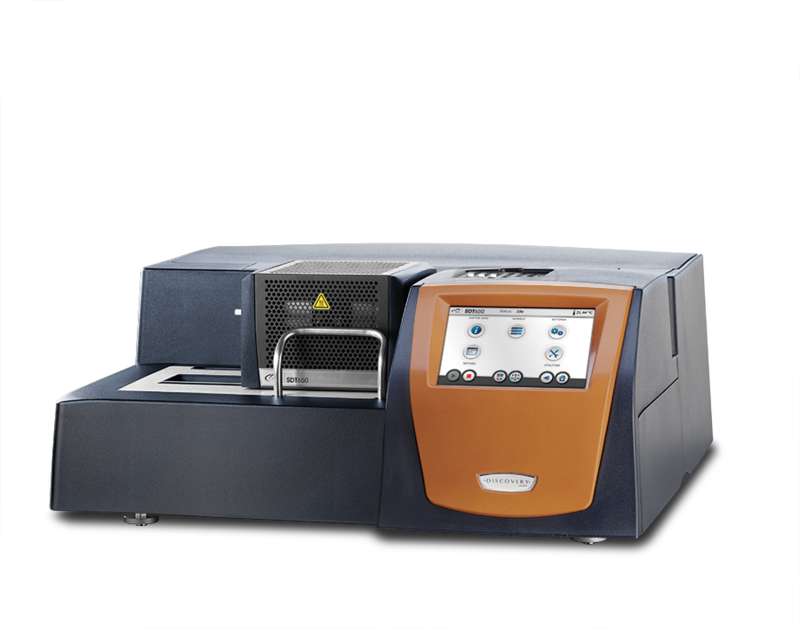 Evolved gas analysis is typically performed by interfacing a mass spectrometer (MS) or Fourier transform infrared spectrometer (FTIR) to the exit port of the furnace. 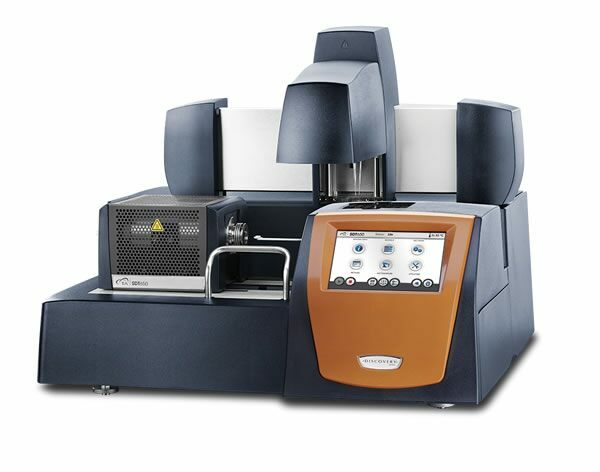 Through the use of a heated transfer line, the evolved gas stream is delivered to the MS or FTIR instrument, and the compositional analysis is performed in real time. TA Instruments offers a 300 amu bench-top, quadrapole mass spectrometer with a heated capillary interface, with an instrument specific interface kit. A variety of FTIR suppliers provide gas cells and interfaces. The Discovery SDT is the ideal platform for evolved gas analysis studies. A horizontal purge stream over the sample and a short path to the exit port eliminates dead volume in the furnace, thereby reducing product dilution and optimizing EGA sensitivity. 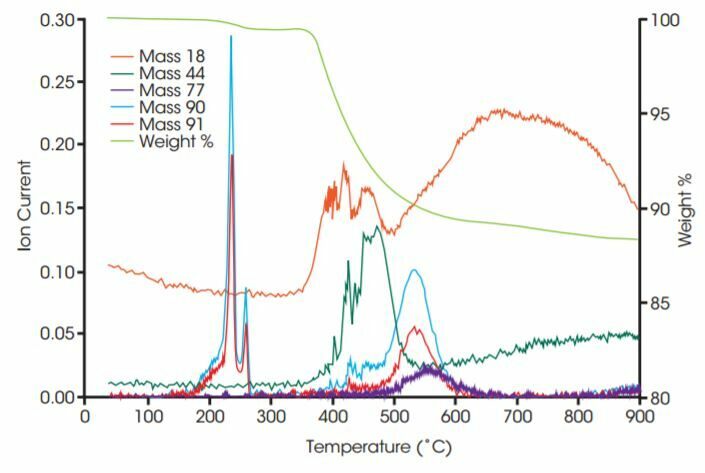 TA Instruments TRIOS software supports the importation of MS (trend analysis) and FTIR data (Gram-Schmidt and Chemigram reconstructions), allowing DSC/TGA and EGA data to be displayed on a common axis of temperature and/or time. Additional information for the interpretation of the reactions during DSC/TGA scans. Exact control of the furnace atmosphere before and during experiments. Horizontal purge stream over the sample for optimal sensitivity. 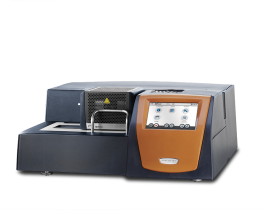 Low volume furnace to eliminate dead volume, reducing dilution. 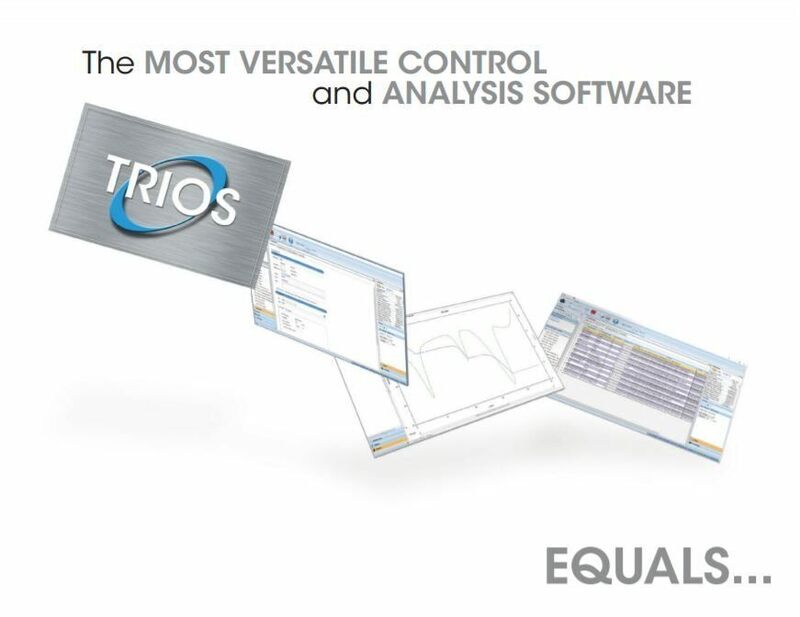 Powerful TRIOS software allows importation of MS or FTIR data for improved data interpretation. 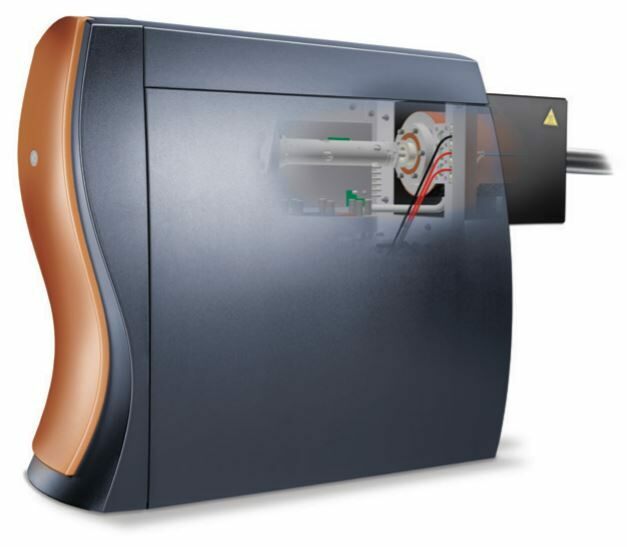 The Discovery MS is a benchtop quadrupole mass spectrometer, designed and optimized for evolved gas analysis. It features industry-standard technology configured for the efficient transfer and rapid detection of offgas from the TGA furnace. 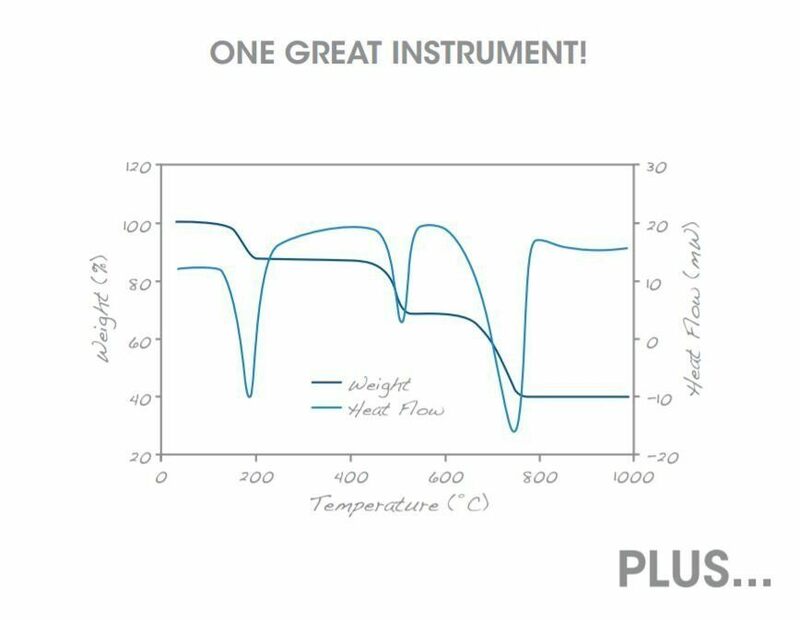 Parts per billion (ppb) sensitivity is ensured with our state-of-the-art quadrupole detection system, including a closed ion source, a triple mass filter and a dual (Faraday and Secondary Electron Multiplier) detector system. 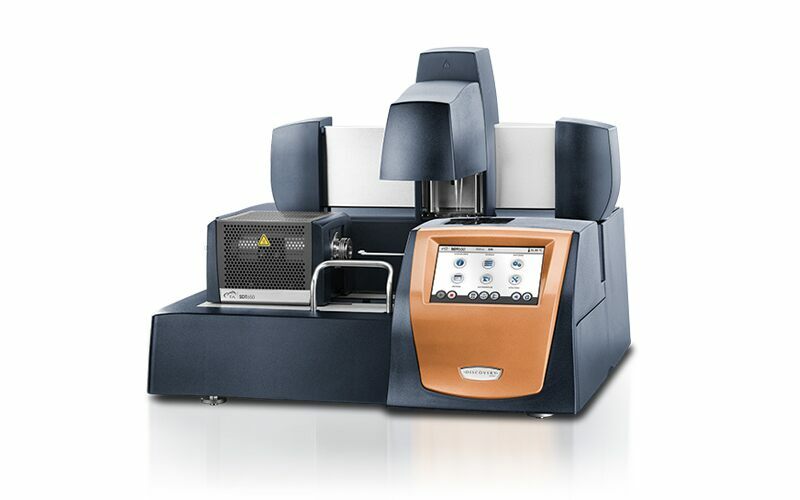 This analyzer configuration is selected to optimize sensitivity and long-term stability performance. Control of the experimental parameters and analysis of the mass spectral data is achieved through a user-friendly, recipe-driven software interface. Data collection can be triggered directly from the TGA software, and the resulting MS data can be combined with the corresponding TGA results for direct overlaying and comparison. The Blending Gas Delivery Module (GDM) delivers flexibility in gas handling on the Discovery TGA 5500 and TGA 550. 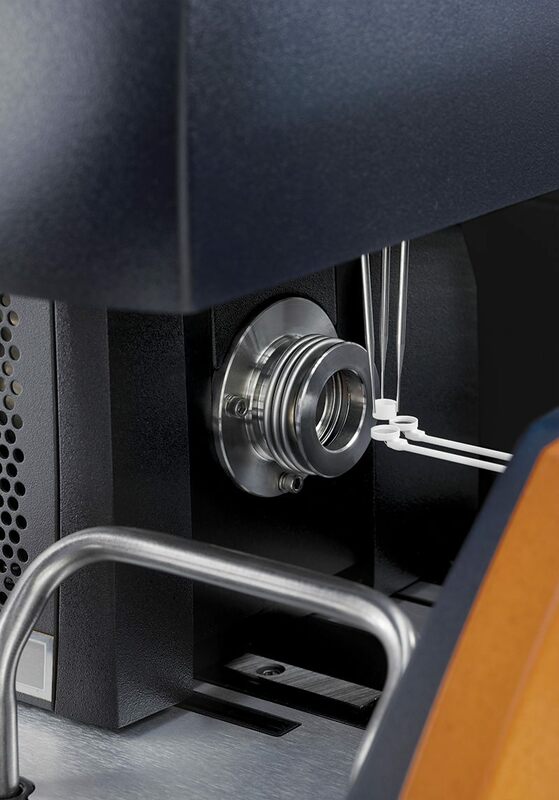 The GDM is an external accessory with two additional gas inlet ports that connect to the reactive gas port on the TGA. 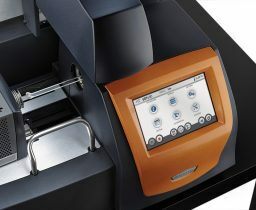 The GDM used in conjunction with the TGA allows for automated switching between the gas ports, as well as software-controlled blending of binary mixtures of gases. The added capability to perform controlled blending of binary gas mixtures allows for TGA experiments to be carried out in an atmosphere where the concentration of gases may be in a fixed ratio, stepped incrementally or ramped at a controlled rate. The GDM is compatible with Nitrogen, Argon, Helium, Air, Oxygen, Carbon Dioxide, Carbon Monoxide and Forming Gas (4%H2/96% N2). This accessory can be used to study sorption of gasses onto a material at atmospheric pressure, Redox reactions, and thermal stability of materials in a controlled atmosphere.